This is an easy desert snack and another way you can get rid of over-ripe bananas. 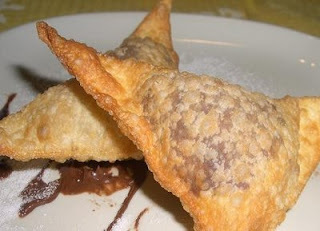 Nutella is a chocolate hazelnut spread and it turn warm and gooey in this fried wonton. It's like those sweet nutella crepes you see on Telegraph, but crunchier! You can make this with your small group and it'd be something fun to do after Bible studies! Labor Intensity: Could do by yourself, more fun to work with a few others. Cut the bananas into 1/2 inch coins. Crack and mix an egg in a bowl. Pour 1 inch of oil in a pan/pot and place on medium heat. Spoon a little nutella and a banana slice into the center of a wonton skin. Brush egg on the edge of the wonton. Fold the wonton diagonally and pinch edges to seal it tightly. 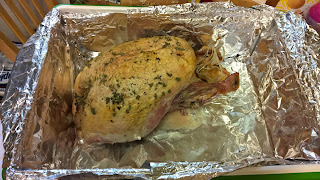 Allow it to cool for 3-5 minutes before serving, inside may be very hot! Don't overfill the wonton, it will burst and spill out into the oil. I would err on the side of underfilling them. You can try a few and then adjust accordingly to figure out how much is the optimal level. Make sure the oil isn't too hot and burn the wonton. Turn down heat as necessary. Pull it out when it turns 1 shade lighter than you want. It continues to cook after you remove it from oil. If it looks the right color in oil, it will be too dark when you pull it out. 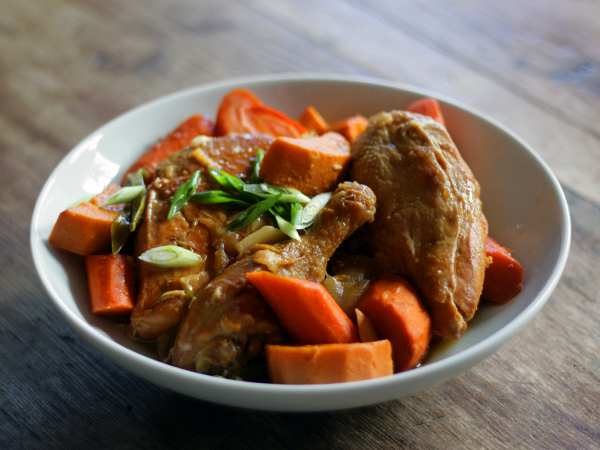 [Possible side dish] If adventurous, you can serve with a scoop of vanilla ice cream! These look awesome! Can you post instructions on how to make real wontons as well? Thanks for the recipes! what if you pour chocolate syrup on top of these? Or whipped cream? Strawberry syrup? -once the sheet is filled with pastry triangles, bake at 350 degrees until golden brown, maybe about 10mins. -after pastry has been baked, drizzle with vanilla-infused honey and serve. **note: you can do this with other fruits as well. can i fill it with nutella and cream cheese?